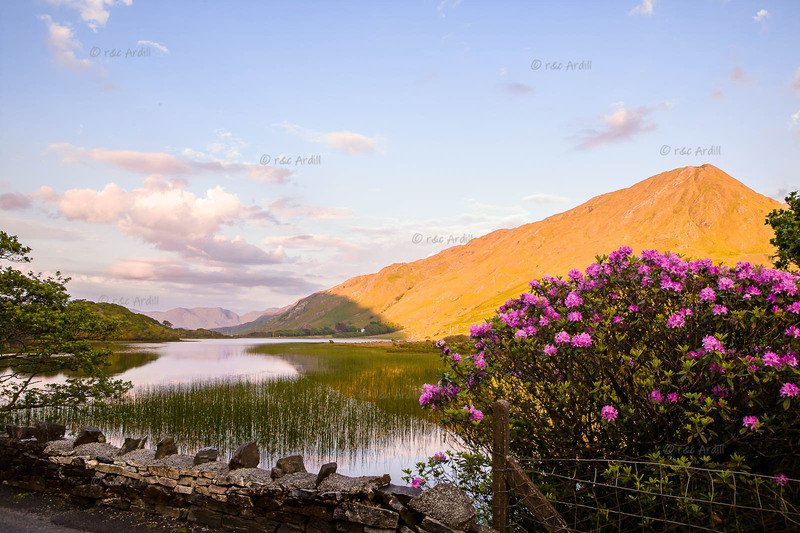 Photo of: West of Ireland: Connemara: Kylemore Lough. This is an evening photograph of Kylemore Lough (or Lough Pollacappul) with a view of Benbaun, one of the Twelve Bens or Twelve Pins Mountains. The area around the lake and up the sides of Duchruach Mountain behind Kylemore Abbey is full or rhododendron. Kylemore Lough is in the Connemara National Park.